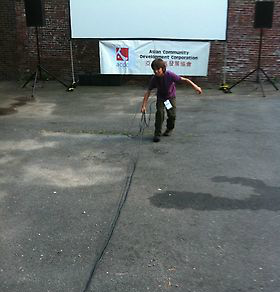 What began on a vacant lot continues on the Greenway: Films at the Gate returns, starting tomorrow, Thursday 8/23. Join us as we create a free, outdoor theater, showing Kung-Fu and classic Chinese-language films under the stars, next to the Chinatown Gate. Film schedule and details here. Movies roll at 8PM, and there are walking tours and performances beforehand. 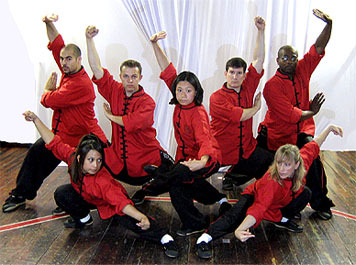 In addition to establishing himself as a traditional instructor of the Wah Lum System, Sifu Rosen has studied Tai Chi Chuan, Iron Palm (breaking), and Lion Dance from Grandmaster Chan and other U.S. and China based Masters. He has been invited to participate as a judge and to demonstrate at various Martial Arts events around the country.